The Lotka-Volterra model explores how competition influences the abundance of two competing species. Changes in the abundance of one species are modeled as a function of its competitor's abundance, but the specific competitive mechanism is not explicitly stated or explored. Therefore, the model does not clarify how competition influences population dynamics. This has led some authors to label these equations as 'phenomen-ological' and to advocate the use of a different theoretical perspective, one that specifically focuses on resources. Competition occurs over resources, which can be defined as any attribute required for an organism's survival or reproduction. 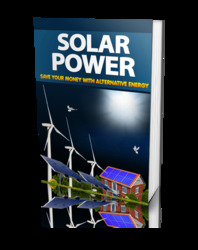 For our purposes, we will use Tilman's specific definition of a resource as ''any substance or factor which is consumed by an organism and which can lead to increased growth rates as its availability in the environment increases.'' Food and space are commonly considered as resources. An approach that focused explicitly on resources was originally developed by Robert H. MacArthur. David Tilman greatly expanded MacArthur's ideas into a model whose basic tenets can be illustrated graphically. Tilman's resource-based model has three components: (1) 'resource requirements', (2) 'resource consumption', and (3) 'resource supply'. The requirement component is easy to conceptualize. All organisms require certain resources for growth and reproduction. For instance, light and nitrogen are important resources for plants. As individuals consume resources, resource availability to other individuals is reduced. This process is the consumption component. Most resources are replenished as they are being consumed. 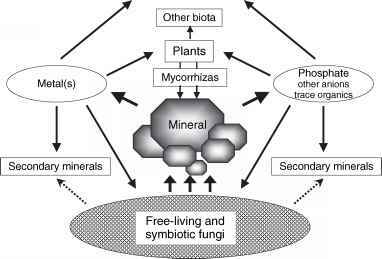 For example, as nitrogen is absorbed by plants it is simultaneously being replenished by soil microbes and mycorrhizae. This replenishment is the supply component. Figure 6 illustrates the basic principles of Tilman's model. This figure is similar to a state space graph, and shows the zero-growth isocline for a single species. However, unlike the Lotka-Volterra model illustrated in Figures 4 and 5, the two axes represent the availability of two essential resources, which are labeled A and B, instead of population sizes. Another major difference is that the isocline is bent at a right angle. The isocline is nonlinear because both resources are essential and are needed in a particular quantity for a species to exist. At any point along this isocline, which represents a combination of resources, the population is stable (i.e., dN/dt = 0). Points above the line indicate resource levels that would result in population growth. Points labeled with * represent the minimum level of resources needed for population persistence. When resources drop below A* or B*, the population is predicted to become locally extinct. Figure 6 Basic principles of Tilman's resource-based model. The dashed line represents the resource-dependent isocline. A* and B* represent minimum levels of essential resources required for population persistence, and the black point (SA, SB) represents the supply point of both resources. The gray point, and all other points on the isocline, represents equilibrium conditions where resource consumption (arrow pointing toward the origin) is balanced by resource supply (arrow away from the origin). Redrawn from Tilman D (1988) Plant Strategies and the Dynamics and Structure of Plant Communities. New Jersey: Princeton University Press. Figure 7 Four possible outcomes of Tilman's resource-based model. In (a) species 2 requires less of both resources to exist, and is therefore competitively dominant and exists alone. In (b) the situation is reversed and species 2 is competitively dominant. The isoclines cross in (c) and (d), indicating each species requires less of one particular resource. Under these circumstances, the outcome of competition is determined by the position of the consumption curves (C1 and C2) and resource supply points. In (c) if the supply point lies between the consumption curves, both species can coexist. In (d) the positions of the isoclines are reversed and the two species cannot coexist. Redrawn from Tilman D (1988) Plant Strategies and the Dynamics and Structure of Plant Communities. New Jersey: Princeton University Press. 2 is competitively superior because it can persist on less of both resources. Therefore, consumption by species 2 will lower resource levels below that needed by species 1 to survive, which will be excluded. Conversely, Figure 7b shows the opposite situation (A2 < A\ and B\ < B2! ), where species 1 excludes species 2. Figures 7c and 7d represent situations where isoclines intersect. Under these circumstances, one competitor requires less of one resource, but more of the other. It also introduces a second type of curve, called a 'resource consumption vector'. Each species has a separate consumption vector, labeled C1 and C2, which illustrate their impact on both resources. Differences in the slope of consumption vectors indicate rates of consumption of each resource. On these graphs a steep curve indicates faster consumption of resource A per unit resource B. Conversely, a more gently sloping curve indicates that resource B is consumed more rapidly. When a species rapidly consumes the resource that it requires in greater quantities, coexistence is possible and is illustrated in Figure 7c. It shows that species 1 requires more of resource A (A12 > A22), and consumes resource A more rapidly (the slope of its consumption vector is greater than 1). Similar to the Lotka-Volterra situation illustrated in Figure 5c, this scenario indicates that intraspecific competition is greater than interspecific competition and that coexistence is possible. When the positions of the isoclines are switched (or the positions of the consumption vectors are switched) interspecific competition is greater and coexistence is not possible. The third component, or 'resource supply point', is needed to determine which of these outcomes will actually occur. The resource supply point indicates the availability of resources if they were not being consumed by either species. Supply points can be anywhere on the graph, and the outcome of competition depends on its position. If the supply point occurs between the axes and the closest isocline, resources are consumed faster than they are renewed and both species will go locally extinct. If the supply point is located anywhere else on the graph, several outcomes are possible, which are labeled in different regions of Figures 7c and 7d. Figure 8 A laboratory test of Tilman's resource-based model with two diatom species, Asterionella (A) and Cyclotella (C). Zero-growth isoclines relative to two essential recourses, silicate and phosphate, are shown along with consumption vectors. The outcomes of 13 trials are labeled with the letters representing competitive outcomes. A refers to competitive exclusion by species Asterionella, C to exclusion by Cyclotella, and A,C refers to their coexistence. Redrawn from Tilman D(1980) Resources: A graphical-mechanistic approach to competition and predation. American Naturalist 116: 362-393.
between consumption curves (Figure 8). Competitive exclusion also occurred under predicted resource concentrations and supply rates. See also: Cycling and Cycling Indices; Death; Metapopulation Models; Parasites; Prédation; Recruitment; Resilience; Stability; Temperature Regulation.